Why Do People Use Coleus Forskolin? Orally - The oral preparations of Coleus forskolii (Forskohlii), like forskohlii powder and forskolin, are used for a number of purposes some of them include for treating asthma, eczema, allergies, obesity, psoriasis, irritable bowel syndrome (IBS), dysmenorrhea, bladder infections, urinary tract infections (UTI), convulsions, angina, hypertension, thrombosis, metastatic cancer, insomnia and for impotence as well. Intravenously - Forskolin could be used intravenously for congestive heart failure (CHF) and idiopathic congestive cardiomyopathy. For Inhalation - Forskolin could be effective in bronchospasm and asthma treatment as well. Ophthalmologically - Forskolin is also utilized for glaucoma treatment. Likely Safe - Appropriate, short term and oral consumption of forskolin is consider safe. Intravenous utilization of forskolin doesn’t seem to cause any side effects when used at a rate of 0.5 mcg/kg per minute and then enhanced at 15 minute intervals to 1-3 mcg/kg per minute up to one hour. The dose of forskolin powder for asthma must be 10 mg. This much dose seems to be well tolerated. In eye drops, forskolin suspension (1%) also appears to be well-tolerated in many cases. Forskolin for Breastfeeding and Pregnant Females - Regarding safety of forskolin in pregnancy and lactation there is insufficient and unreliable information available so such women should avoid any product of Coleus forskolii. How Effective Is Coleus Forskolin? Forskohlii powder or forskolin powder shows effectiveness for following conditions: Asthma - According to some confirmations, inhaling only one dosage (10 mg) of forskolin powder from a Spinhaler inhaler can considerably enhance forced expiratory volume in one second (FEV1) in asthma patients. Idiopathic Congestive Cardiomyopathy - According to some confirmations, intravenous forskolin seems to be well tolerated and is safe when it is given at an appropriate rate of 0.5 mcg/kg per minute and then enhanced at 15 minute intervals to 1-3 mcg/kg per minute up to one hour. Regarding safety of forskolin powder or forskohlii powder for following conditions, there is insufficient information available. Intraocular Pressure - According to recent clinical experiments, intraocular pressure could be decreased by forskolin suspension eye drops without any visual infection. But forskolin effectiveness has not been tested in patients who are suffering from glaucoma. Therefore, more confirmations are required to test forskolin for this usage. Forskolin is a diterpene and the most effective constituent of forskohlii found in the plant roots of Coleus forskolii. Forskolin stimulates adenylate cyclase enzyme in the heart and smooth muscle. This may also be responsible for an increase in cyclic AMP production, which opens up calcium ion channels and increase calcium concentration within the cells. This way it influences the contraction of smooth and heart muscles. Some researchers conjecture that forskolin may also increase the activity of adenylate cyclase in different cells of the body, for example, thyroid cell, platelet cells, adrenal and pituitary gland and pancreas. Clinical studies show that forskolin powder prevents the adhesion of platelet aggregation; reduces tumor cell-induced accumulation of human platelets; decreases the metastasis of cancer cells and blocks development of tumors in human body. What Are The Side Effects /Adverse Reactions of Coleus Forskolin? Intravenously - Forskohlii powder can cause adverse effects such as hypotension and flushing. Inhalation - Forskolin powder maybe responsible for upper respiratory tract and throat irritation, restlessness, tremor and mild to moderate cough in asthma patients. Ophthalmologically - Coleus forskolii may cause conjunctival hyperemia and stinging of the eyes. How Coleus Forskolin Interacts With Other Herbs and Supplements? Supplements & Herbs with Anticoagulant or Antiplatelet Properties - Combination of forskohlii powder and herbs that adversely affect platelet aggregation could enhance the bleeding and bruising risks in human body. Few of these herbs are anise, angelica, asafetida, arnica, boldo, bogbean, celery, capsicum, clove, chamomile, fenugreek, danshen, garlic, feverfew, ginkgo, willow, licorice, onion, prickly ash, passionflower, papain, quassia, poplar, turmeric, red clover, ginger, horseradish, Panax ginseng, meadowsweet, wild lettuce, wild carrot and other herbs as well. Vasodilators - Combination of cardioactive herbs and supplements and forskolin powder could potentiate adverse effects. Some cardioactive herbs include cereus, calamus, coltsfoot, cola, European mistletoe, devil's claw, fumitory, fenugreek, Panax ginseng, ginger, mate, white horehound, quassia, parsley, shepherd's purse, scotch broom flower, some herbs that contain cardiac glycoside include lily-of-the-valley roots and digitalis leaf as well. How Coleus Forskolin Interacts With Drugs? Antiplatelet or Anticoagulant Drugs - Interaction rating between antiplatelet or anticoagulant drugs and Coleus forskolii is moderate so be careful of this mixture. Combination of forskolin powder and antiplatelet or anticoagulant agents may enhance the potential risks of bleeding and bruising. However, there are some evidences showing that forskolin can inhibit adhesion and platelet aggregation. Some antiplatelet and anticoagulant drugs include anagrelide (Agrylin), abciximab (ReoPro), ardeparin (Normiflo), dipyridamole (Persantine), , clopidogrel (Plavix), dicumarol, eptifibatide (Integrilin), enoxaparin (Lovenox), antithrombin IIIcilostazol (Pletal), danaparoid (Orgaran), dalteparin (Fragmin), lepirudin (Refludan), heparin, warfarin (Coumadin) and tirofiban (Aggrastat). Calcium Channel Blockers - Interaction rating between forskohlii powder and calcium channel blockers is major so NEVER use this combination. The combination of forskolin and calcium channel blockers may have additive coronary vasodilatory effects. Some of the calcium channel blockers are nifedipine (Procardia), Varapamil, and diltiazem (Tiazac and Dilacor). Nitrates - Interaction rating between forskolin powder and nitrates is major so NEVER use this combination. Some of the nitrates are isosorbide (Sorbitrate Isordil and Imdur) and nitroglycerin (Nitrostat and Nitro-Bid). These nitrates may alter coronary vasodilation. How Coleus Forskolin Interacts With Foods? 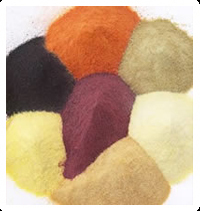 There is no known interaction between forskohlii powder and various food items. How Coleus Forskolin Interacts With Lab Tests? Bleeding Time - Forskolin powder might enhance the bleeding time, prothrombin time (PT) and test results of international normalized ratio (INR). Some evidences also recommend that forskolin may inhibit adhesion and aggregation of platelets in human body. How Coleus Forskolin Interacts With Diseases and Conditions? Bleeding Disorders - Bleeding risks may increase by using various combinations of forskohlii powder. Conformations tell that forskolin inhibits adhesion and aggregation of platelets. Cardiovascular Disease - Generally it is said that forskolin may potentially worsen cardiovascular conditions and also may affect cardiovascular diseases. Forskolin powder can significantly lower blood pressure due to vasodilation. Be careful while using forskolin in patients who are suffering from cardiovascular disorders. Surgery - Forskohlii powder has antiplatelet impacts. This herb may cause over bleeding if utilized perioperatively. What Should Be the Dose/Administration of Coleus Forskolin? Intravenous - For idiopathic congestive cardiomyopathy forskolin seems to be well tolerated and safe when it is given at a rate of 0.5 mcg/kg per minute and then enhanced at 15 minute intervals to 1-3 mcg/kg per minute up to one hour. Inhalation - For treatment of asthma, 10 mg forskolin powder is inhaled via Spinhaler inhalator. Oral - There is no oral dosage of forskolin. Forskolin is a constituent of Coleus forskohlii that has been long utilized for respiratory and heart disorders.